For my S2K… Super excited! The MCARBO upgrades continue. I worked a bunch of overtime, so I decided to reward myself with an upgrade. I ordered the notch rear sight, I just wished they had placed a center line on it. I did this with photo shop, I’m considering doing it for real. I am going to use high visability paint on the front sight post and use the white on the rear to help with alignment. @KM55 seems like painting the rear sight would draw your eye away from the front sight. That’s why many comp sights are blacked out on the rear sight. I know the Glock “ball in the bucket” is all the rage but not really my jam. 2 cents that’s all. I use the twin dots on my M&P pistols and it help to align the sights, I plan on just doing the center line first and see how it works out then I might try the others I don’t know for sure yet. @KM55 well it’s not like it’s permanent. Experiment and figure out what works best for you. That is what is so much fun with this weapon you can experiment and you don’t have to break the bank to do it. Dude! That white paint is a great idea. My diesel pickup is white. I can use my touchup paint applicator to apply it… verrrry carefully. The MCARBO rear peep sight is just fine so I worked on replacing the front sight post with something easier to see. I’m going to look for some glow-in-the-dark nail polish to put on the front site for the time being. 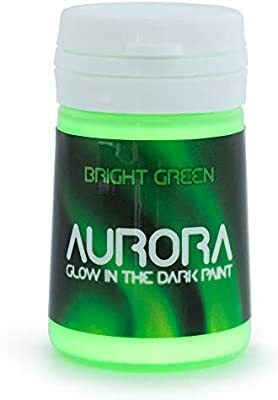 I’ve heard there is a brand called, “Cool Glow.” I want to try to find something in a light or white color that also glows in the dark. I haven’t gone looking yet, though. @KM55 Hey, that’s the same glow in the dark paint I use on my toe nails…did I just say that out loud? So does it glow all night long or is it a dud. as far as the toe nails TMI. I went looking for glow in the dark paint and came up with a big fat zero. the sport shops, hobby shops, and the local gun shops no one had paint. I guess I’m stuck with amazon. @KM55 Ebay has glow paint as well, about $6 is cheapest I’ve seen. @KM55 , you might have luck adding the term “phosphorescent” to your searches. I know Ranger Point Precision used it on their front sights which I run on my 336 and my 1895. As recently as 2014, I saw it packaged specifically for use on gun sights - best of luck. I will say the phos stripes on my blitzkreig sight post are much brighter than the tritium dot when I arrive at an indoor range. Thanks for your post, KM55. I have an Amazon Prime membership, so I went ahead and ordered some of that paint you linked to on Amazon. For less than $10, I give it a whirl and see how it works out. Just installed mine. Must have upgrade. Super easy installation.